On Sunday, May 13 for Cavaliers-Celtics, the daily fantasy sports site FanDuel is running a $300,000 NBA Shot Machine with a $7.77 buy-in. DraftKings is running a $315,000 NBA Showdown with a $10 buy-in. Before you set your DFS lineups for Game 1 of the Eastern Conference finals on DraftKings or FanDuel, you need to hear what professional DFS player Mike McClure has to say. McClure has more than $1 million in career DFS winnings and rolled through the NBA season, cashing huge on numerous tournament and cash game rosters. He was able to do all that thanks to some spot-on picks. On Wednesday, McClure rostered 76ers center Joel Embiid at $10,300 on FanDuel. The result: Embiid exploded for 27 points, 12 rebounds, four assists and four blocks -- returning over 55 points on FanDuel, one of his best performances of the entire season. For Sunday's single-game slate involving Game 1 of Cavaliers-Celtics, McClure loves Cavaliers forward Jeff Green at $8,000 on FanDuel and $3,900 on DraftKings. Green, who is averaging just over 11 points in his last six games, is coming off a strong series against the Raptors. And he has been playing extremely well on the road during the 2018 NBA Playoffs, scoring double-digit points in three consecutive road games. Look for Green to put up solid numbers again on Sunday at TD Garden, where he played as a member of the Celtics from 2011 to 2014. McClure is also loving Cavaliers forward Kevin Love at $13,000 on FanDuel and $12,700 on DraftKings. Love, who has recorded a double-double in two of his last three starts, has been red-hot in the postseason. He has produced over 40 points on FanDuel in three consecutive games, so take advantage of this matchup and watch the points roll in. McClure is also targeting a player capable of putting up massive numbers who has a dream matchup Sunday. The stars are aligning for him to score 60, even 70 points. This pick could be the difference between winning your tournaments and cash games or going home with nothing. So who is DFS pro Mike McClure putting in his optimal DFS lineup on Sunday? 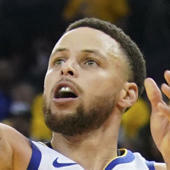 Visit SportsLine now to see the full NBA optimal tournament lineups for Sunday's NBA Playoff game from a professional DFS player who has over $1 million in career winnings and cashed multiple tournament rosters this season.